Like previous trips, the last time I went up to Shiloh Church Cemetery was during the summer of 2014. The creek was dry. On at least one previous trip, my brother Paul and I were unable to get up to Shiloh Church and Cemetery due to heavy spring rains that entirely covered the low water bridges that traced the Fourche La Favre river bed with a concrete carpet. Unlike my last visit, the road that snakes across the mountains, was uncluttered by trees. In fact, I found it a bit weird to be able to see the ribs of the mountains. With all but a few trees cut down, it was possible to see the hard edges whereas before the leafy canopy of trees provided a hall of trees with occasional glimpses of a ridge further away. I only encountered two vehicles en route to Shiloh Church. One of them was a service vehicle driven by one of the employees of the Ouachita National Forest. The other was a semi-truck (driving much faster than I anticipated would be the case), that was headed for one of the logging areas in that mountainous area. When I finally pulled into the church yard, I was already tired. It had taken me almost 45 minutes to traverse 10-12 miles. The reason, in part, was because I wanted to avoid getting a flat tire on the back country dirt roads some gravel but a lot of native stone. But erosion had taken its toll as well. I remember thinking that when it rained, it must be difficult to traverse some spots where rivers of water had poured through the road taking whatever “bed” there might have been with it. There is no homestead left. We can read about what Elizabeth and her son Tom accomplished on the fledging farms. . . . In that sense, we are not in a position to go back home. And truth be told, we are not the first generation of Cartwrights to find ourselves in that position. 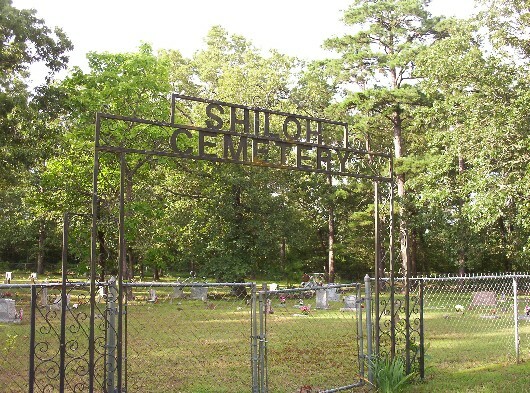 My Aunt Dorothy does not recall ever going to Shiloh, and I think it is possible that none of her siblings did either. But whenever we make the journey back to the place where our ancestors first established a homestead, we encounter a complicated set of conflicting cultural memories within which the lives of our ancestors are more or less implicated. For example, a few weeks before I visited Shiloh Cemetery and Church , the nearby town of Waldron was the site of a controversy over displaying the confederate flag. This entry was posted in Prologue: Going Up to Shiloh and tagged Eliza Hope Danes Cartwright, Lost Cause, Shiloh Cemetery and Church, Tom Cartwright. Bookmark the permalink.